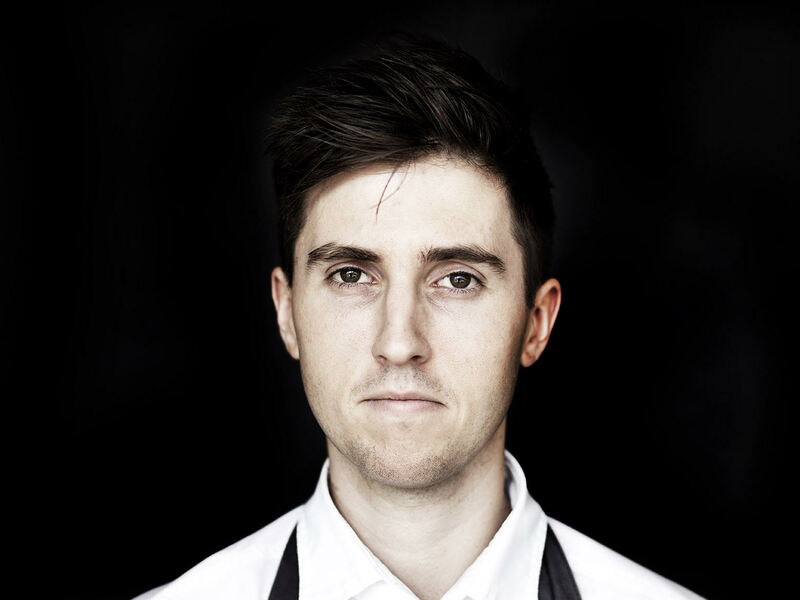 Australia’s first seafood butcher, Josh Niland, will be bringing a taste of his Sydney restaurant Saint Peter to Melbourne this June, for Good Food Month. He’ll be bringing his infamous brunch along with a seafood-centric fish butchery masterclass to the new home of Good Food Month: Melbourne Palms. Carla Grossetti caught up with the talented young chef to talk sustainability and economies of scale. A chip made out of the eyes of an Albacore offers a vivid snapshot of the sort of experimental seafood dishes coming out of Josh Niland’s kitchen at his Sydney restaurant, Saint Peter. The chip is crisp, as it should be, and the chef says his mum loves it, which is why it’s on the menu. “I always run everything by my mum. If she likes it, it’s on the menu. What’s not to love? 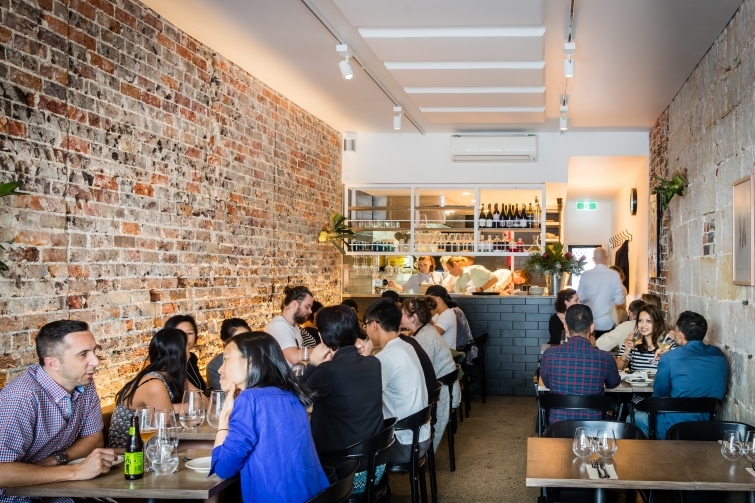 It tastes like a prawn chip and it’s delicious,” says Niland, whose restaurant in Sydney’s Paddington took out the 2018 Good Food Guide New Restaurant of the Year award. “At Saint Peter, we champion the whole fish. We have a recipe for every single part of the fish from the liver to the blood, bones and even the scales,” he says. Niland, who will be presenting a masterclass at this year’s Melbourne Good Food Month, says he looks at every part of a fish with a predatory eye in order to, first and foremost, minimise waste. The chef and his wife and business partner, Julie, have just opened the Fish Butchery, Australia’s first sustainable fishmonger, where dry-handled fish is both stored and displayed at low temperatures in static refrigeration and cut to order according to strict protocols adhered to by chefs who are serious about their seafood. “It’s my dream to establish the Fish Butchery brand around the world,” says Niland, who now divides his time between the two Sydney venues. “The Butchery is about educating customers so they can have a better experience with fish and to teach them that putting fish in contact with water or presenting it on ice speeds up the degeneration process,” he says. In addition to building a more sustainable and efficient business model, Niland says Fish Butchery provides customers with instructions on how to cook lesser-known species of fish and why we need to embrace the so-called ‘fin-to-fin’ approach of consuming seafood. “Fish is dry scaled, gutted, filleted, pin-boned and dry aged at the butchery, which also supplies Saint Peter. It’s about economies of scale: by buying larger volumes of fish, Saint Peter is more efficient. The Fish Butchery also enables me to maintain a reliable supply of ingredients such as octopus heads or fish livers,” he says. “In Japan, fish sperm is poached in miso soup to make it creamy. That’s not my bag. And my customers in Paddington are not into that either; they don’t like challenging smells. 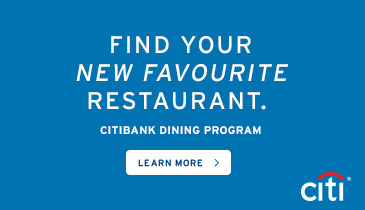 They want to eat food that appeals to a Westernised palate. I have fish sperm [otherwise known as ‘man roe’] on the menu but I salt it for a few weeks so it becomes more palatable,” says Niland. “I’m not here to confront my customers. I’m here to educate them. I want to show them certain parts of the fish that they have never before tasted or even imagined you can eat that they will come to know as being absolutely delicious,” he says. Although Niland has devoted his entire career to championing seafood, it wasn’t until he opened Saint Peter in 2016 that he began to actively promote all things edible that come from a whole fish. And while his Instagram following his huge – at last count 33.2 k followers – it’s his butchering skills and commitment to sustainability that has helped push his profile as a chef. During Good Food Month, Niland will present a One Fish, One Chef intensive masterclass of head-to-tail techniques and talk about the inspiration behind his expertly crafted dishes at Brunch with Josh Niland. “It takes me about two minutes to butcher a whole fish and fillet it. But if you are taking out the fillets, gutting it, sorting the organs, taking the eyes out it can be laborious for a small restaurant kitchen, which is another reason I opened the Fish Butchery,” Niland says. If someone in the audience asks his opinion during the One Fish, One Chef event, Niland will happily tell them. “During the One Fish, One Chef talk, I plan on being really honest and not skimming around the questions that are always avoided. I want to discuss sustainability and what it really means. I want to explain why I source line-caught fish and the methods and techniques I use as a business owner to offset the higher costs associated with running a proper fish shop,” he says. 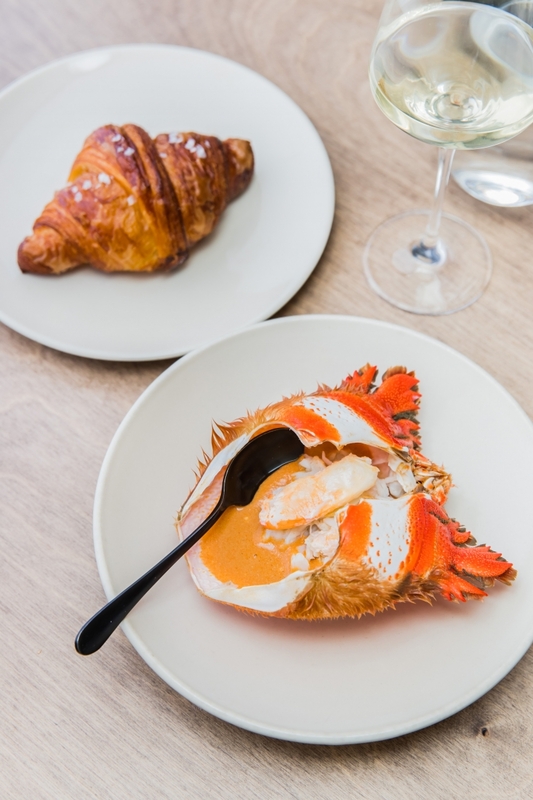 Niland will also talk about his focus on locally sourced sustainable seafood during Brunch with Josh Niland, a June 17 event that will include highlights of items from the nose-to-scale menu on offer at the 36-seat Sydney restaurant. He says he loves luring customers in to appreciate the virtues of eating every bit of the fish, an experience he describes as revelatory. “I am certainly no guru. I just love to play with the flavour, texture, colour, shape and temperature of an ingredient. Our brunch service is always the busiest. 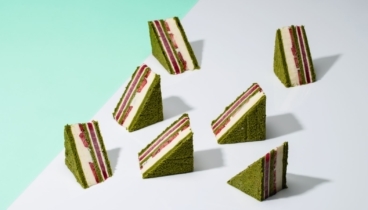 I’ve designed it to be creative and playful with options such as sea urchin crumpet, octopus head scotch egg and smoked eel pikelets,” Niland says. “It’s one thing for people to like what I’m doing on Instagram — my customers love taking a photo of what they are eating at Saint Peter and telling their friends what they ate — but what’s most important to me is that they love it,” he says. Niland says it was his passionate curiosity while working under chefs Stephen Hodges (of Fish Face fame) and Peter Doyle (est.) 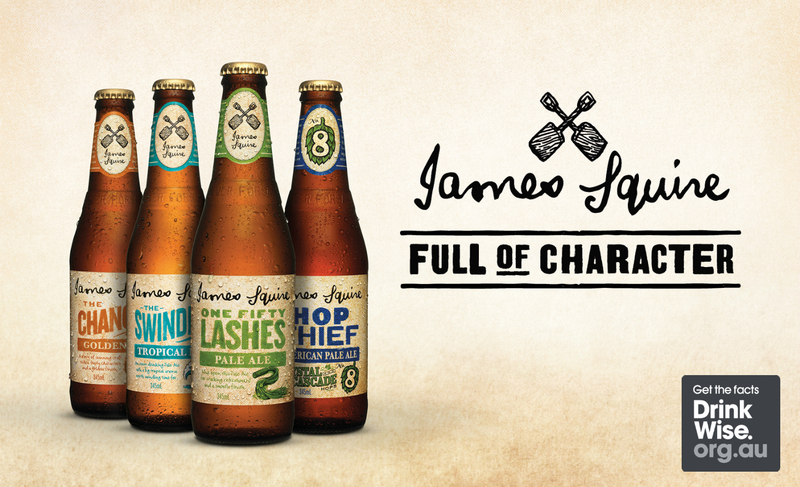 that led him down the path to specialise in seafood. “I worked under Stephen for three and a half years. When you are confined in a small space, you ask a lot of questions about what you are learning. Stephen is one of the brightest minds in the field of fish. He is technically brilliant. There were quite a few chefs there for the 11 years that it existed, but few absorbed as much as I did because I was so inspired and interested and Stephen invested a lot in me,” he says. “I also learnt a lot from Peter Doyle who applies a lot of intelligent decisions to his cooking. Peter is in the same class as chefs like Neil Perry and Matt Moran who put together food that is complete. They have a sauce, a vegetable, a protein and you see the value and generosity of someone’s work on a plate. I got a lot from Peter in that sense,” says the fish virtuoso, who is in the vanguard of Australia’s new wave of culinary talent. For a fish-fixated chef who grew up inland, in the township of Maitland in Central NSW, Niland says he is proud to have been prescient in demonstrating to diners the appeal of ingredients such as fish offal. He says he will be urging audiences at both his Good Food Month events to buy fish such as blue mackerel and trevally and to embrace a more sustainable approach to seafood cookery, one fish eyeball at a time. 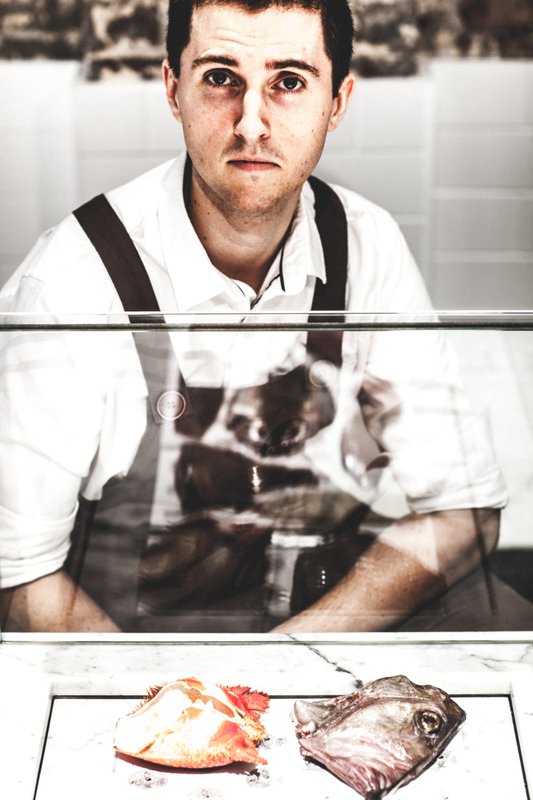 Tickets for One Fish, One Chef & Brunch with Josh Niland are on sale now.